There are many people who go to work and need to change into a uniform before they start their shift. There are also many people who have a job where they need somewhere safe to store their personal belongings. This could be a factory, a warehouse, a hospital, a school, a shop or an office. For some organisations it means having several hundred workplace lockers on site and in use most of the time. Managing the keys for all these lockers can create an additional burden for the maintenance team. Inevitably people will lose locker keys and locks will get broken, inconveniencing everyone concerned. The cost of replacing keys and the time taken to replace locks can also become an expensive issue. One solution is to remove locker keys from the equation altogether. The KitLock CL1200 is a robust keyless cabinet lock that uses a four-digit code to secure and open lockers. As it’s far easier for people to lose a locker key than it is to forget a four-digit code, from a maintenance perspective, using a keyless solution offers the potential for long-term financial and time-management savings. If an employee forgets her code, then a master code will open the door to the locker. This process is far easier than having to break the lock open or to arrange for another key to be cut. It also means the locker does not have to be ‘out of action’ while this is being done. And the employee is not left at the end of a shift or working day without her clothes or personal belongings! How does a KitLock work? A KitLock digital cabinet lock functions in two different modes of operation. ‘Single use’ or ‘locker mode’ allows a new code to be selected every time the locker is used. In this mode the locker does not have to belong to a particular employee. This might be useful, where there is not enough space or budget to provide a locker for every member of staff. The locker is only occupied for the duration of a working day or shift, then the contents are removed and the locker is ready to be used again by the next employee. 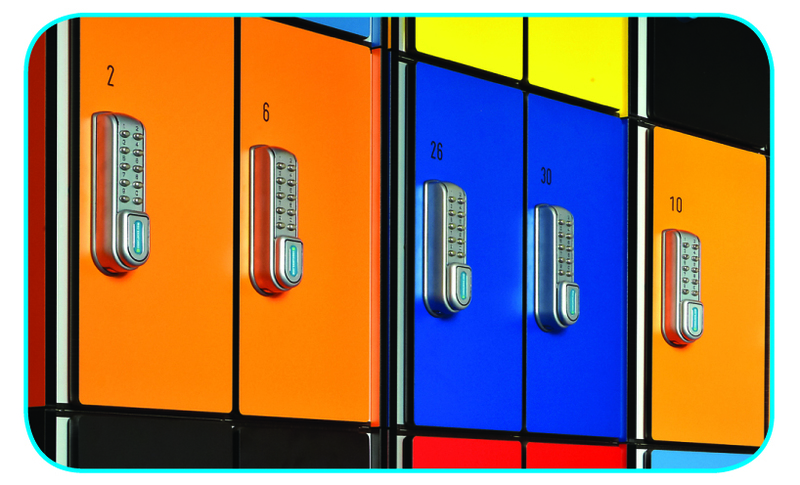 In ‘repeated use mode’, lockers can be allocated to a particular staff member on a more permanent basis. Employees can choose their own code and use it every day to access the same locker. In this mode, the employees are able to leave items in the locker, like uniforms, ready to wear the next time they are at work. KitLock keyless cabinet locks are easy to fit, taking just a few minutes to remove the existing cam lock from the door and make an additional top fixing. Once in place a KitLock (CL1200) can perform up to 50,000 openings on just two AAA batteries. For more information on how your workplace can benefit from using KitLock electronic locker lock contact us on 01635 239645 or visit our website.